Preview Image Generator (P.I.G.) Free Version! 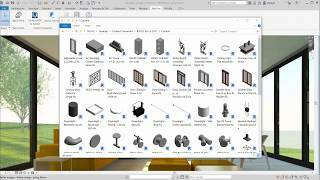 Do you have Autodesk® Revit® families with horrible preview images? This app is for you! With one click, P.I.G. Free will create a consistent & clear preview image for your open Revit family! This free version offers limited functionality compared to the more fully featured app. See below for a comparison. Choose your own default appearance settings & Revit category specific settings. Options to hide connectors, host elements, reference planes and more! Your settings are automatically synchronized with your cloud account. Activate on up to two computers. **All users at your company can be set up to use the same settings. **Automatically regenerates the preview image every time families are saved! Batch process new preview images for thousands of families at a time! Upgrade files from previous versions of Revit in the process. Optional to export high resolution images for indexing on popular content management systems such as Avail and CTC. Enable Preview Visibility mode - ensuring that the image looks just like it will in your projects. Customize view scales by category so line weights show accurately. **If you would like P.I.G. to silently run on every workstation at your firm, virtually eliminating the future need to monitor or batch through files, a site license is available. Please contact info@thepig.io for more information. 2D Categories are now represented in a tab of their own - making the processing differences more apparent. P.I.G. is now digitally signed. Bug fixes and subtle UI improvements are also included. Very helpful. Solves a long standing Revit problem. A very useful, indispensable program, seems to have been born for Revit. Thank you, Dionisio! We took great effort to make it a seamless experience. I work with BIM Implementation and during our workings we need to create several families. Although I already use a good workflow when seting preview images, this plug-in makes it much easier! I loved it. Need to clean up your libraries? Are you a smaller firm with a vast in-house library that looks like a random pile of scary Revit files? Are you interested in sharing your content, but too much of the preview images look garbled- through no fault of your own? PIG is hands down the best, most affordable solution to getting your "family presentation" all cleaned up. Just point it to the directory that you store your library at, and away it goes! Any new family saved to that directory can also be set to receive this spit and polish treatment. No more unsightly presentations when uploading to online libraries either (I am looking at you, Revit City)! This is long-overdue and brilliant! Very smooth functionality and I love that it runs automatically.